It takes more than antivirus to stop today’s advanced threats. An endpoint protection solution is an important part of your IT security strategy to protect corporate assets. Your endpoint protection solution should include anti-malware, host-based intrusion prevention (HIPS), web protection, patch assessment, application and device control, network access control, data loss prevention, firewall and other capabilities. In addition, you need a solution that’s easy to install and manage, and that can grow with your needs—saving you time and ensuring comprehensive protection for years to come. 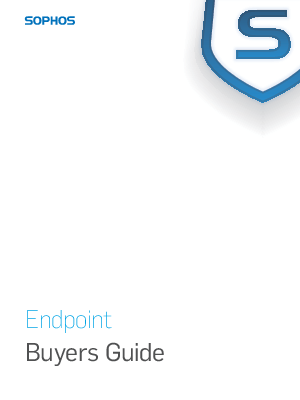 Evaluating the many components that make up an endpoint security solution may seem overwhelming. This buyers guide is designed to help. We’ve provided you with independent research and test results to help you determine your endpoint security solution requirements and identify the vendor that best meets your needs. We examine the top vendors according to market share and industry analysis: Kaspersky Lab, McAfee, Sophos, Symantec and Trend Micro.